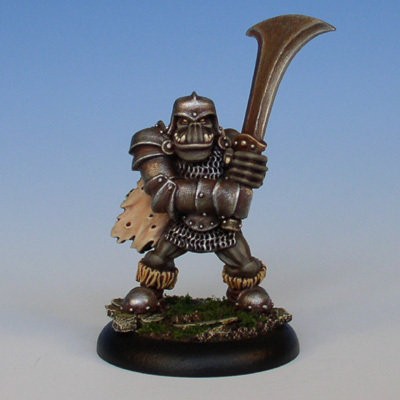 This orc is the first of my second batch of models for my own miniature range, Runic Miniatures. I love classic, oldschool figures and Skagg was sculpted to look somewhat oldschool. I really enjoyed sculpting him and painting him was quite fun as well.